I have been leaning into the world of small works, finding much delight there. Funny thing about working small is that the marks you make are large in relation to the scale of the shapes in your subject, so they are more abstract and I think beautiful because of this. Doing a small piece everyday has kept me grounded while I continue to work on my videos. I am learning so much and will have a whole new set of skills by the time I introduce the videos. Photoshop, Illustrator, Imovie, lighting, writing…..on and on. Both these little pieces, 6×4 were done on leaf green colorfix paper with a really light touch of mostly hard pastels. They are little studies from a hike on Elk Rock Island last spring. It’s fun to think about spring! 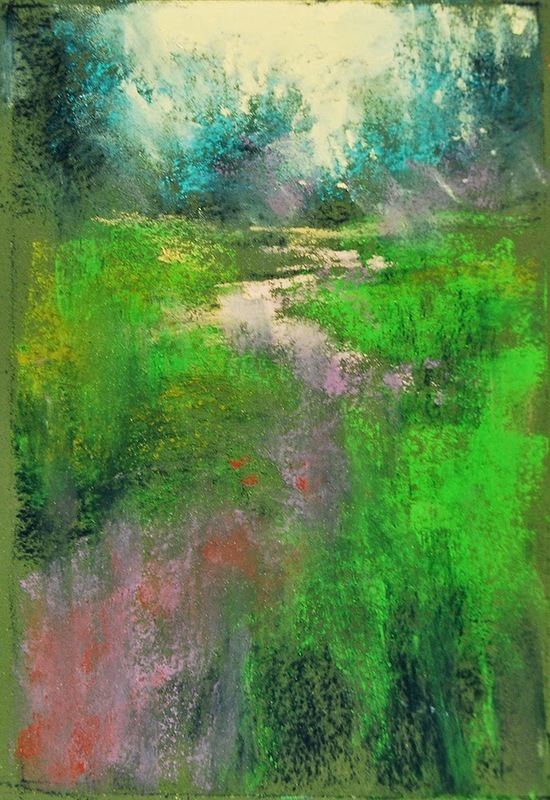 Speaking of Spring, I’m going to be offering a new two day workshop called Color Exploration in Pastel. 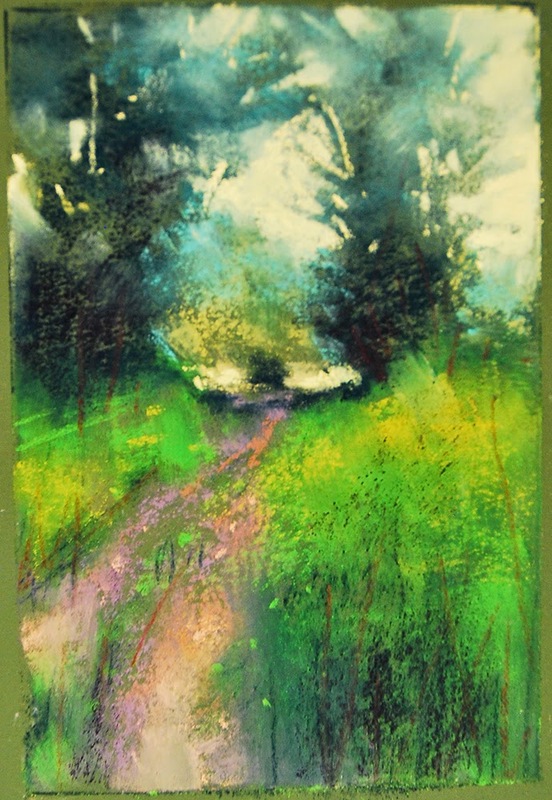 This workshop will be a wonderful journey into color theory; color interaction, color orchestration, color masking, color choice in pastel, color everything. It will be May 22nd & 23rd in lovely, Milwaukie, OR! I’m really excited about this new offering. As usual, it will be packed full of info, demos, individual mentoring and critiques if we have any time!! Whew!! How do we secure a spot on the workshop? I would like to go. Just not sure I will see the post somewhere? Hi! Little gems! Counting the days before you reveal the videos! I would like to sign up for your May workshop. How do I do it?